Ahhhhh cauliflower pizza!!! 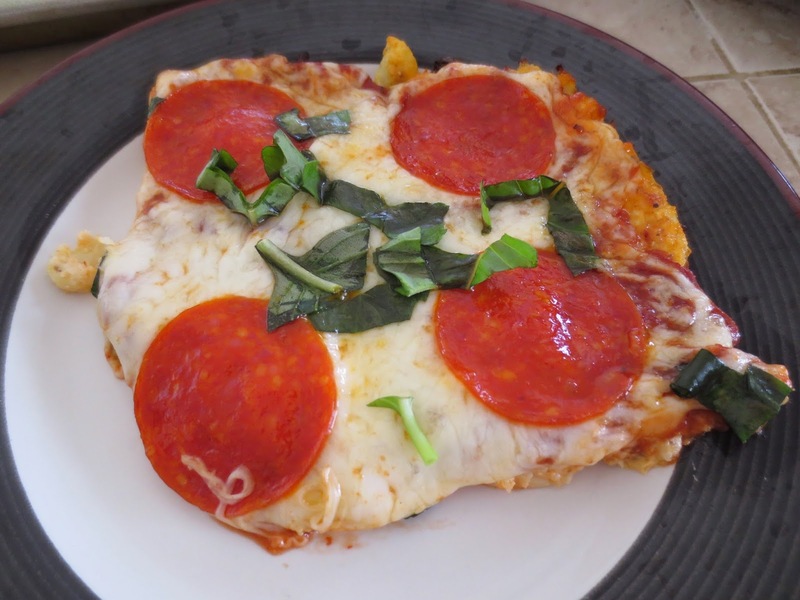 The ideal and delicious low-carb pizza crust!!! 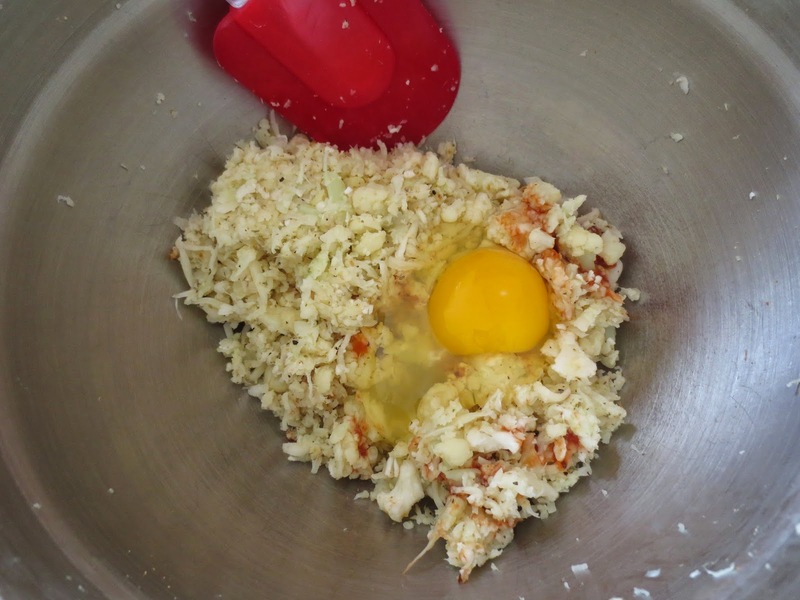 If you want to make this bad boy, you gotta put in the effort though- this aint easy…First you have to grate the cauliflower (or shred using a food processor), wring out water, mix mix mix with other ingredients, etc. 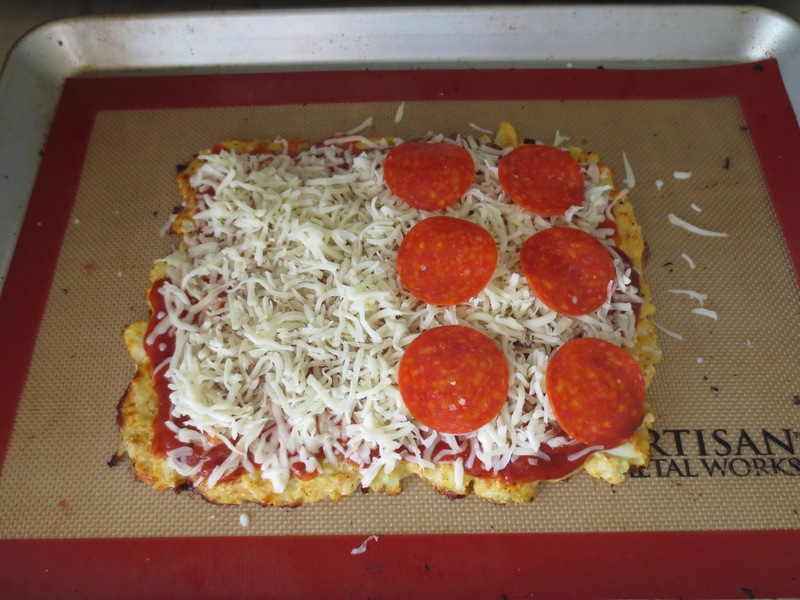 And then it ain’t even that healthy either- you replace the flour in normal pizza dough with extra cheese to make the cauliflower crust. 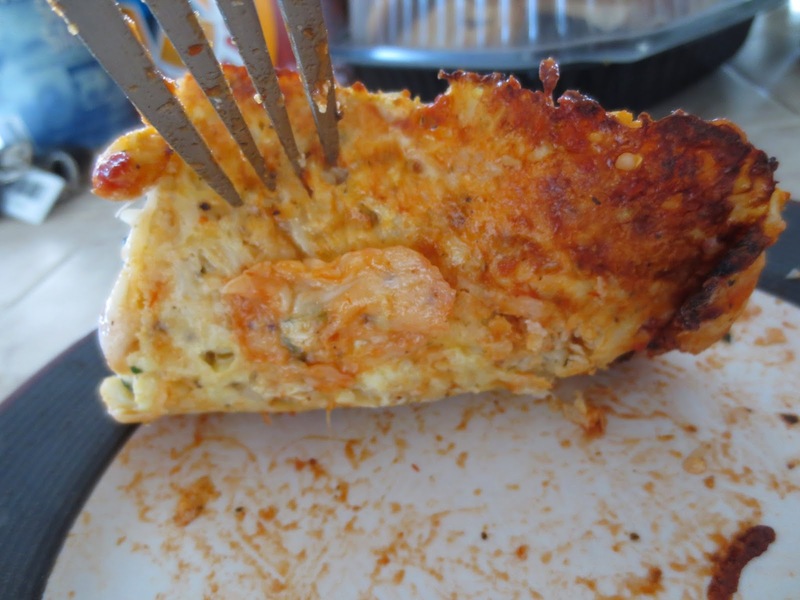 BUT after all this work and extra fat calories, this cauliflower pizza is pretty damn good- eat it with a fork to avoid the mess! I ended up with a semi-non-soggy crust – the edges of the whole pizza were stable, but the middle part was a tad bit soggy. I refrigerated it for about 5 min and the crust firmed up quite a bit and was way less soggy after it cooled. I won’t be making it for a long time since there is so much extra work and it’s messy to wring out the water from the cauliflower. BUT Try it!!! I know many of you are super curious. Trust me, it is delicious!!!!!!! Anything your hearts desire! I used pizza sauce, mozz cheese, pepperoni, and basil. 1. 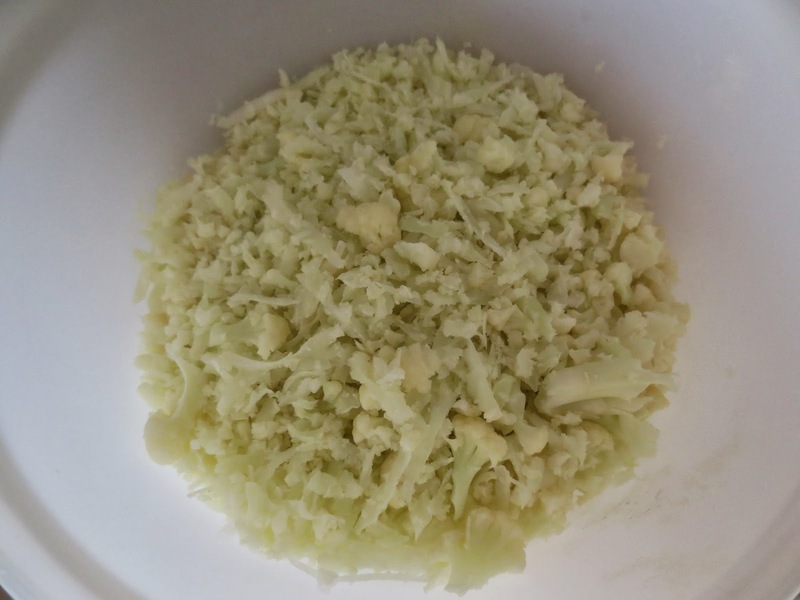 In a microwave safe bowl, microwave the cauliflower for 4 min. Be careful, it’s super hot so let cool before handling. 2. 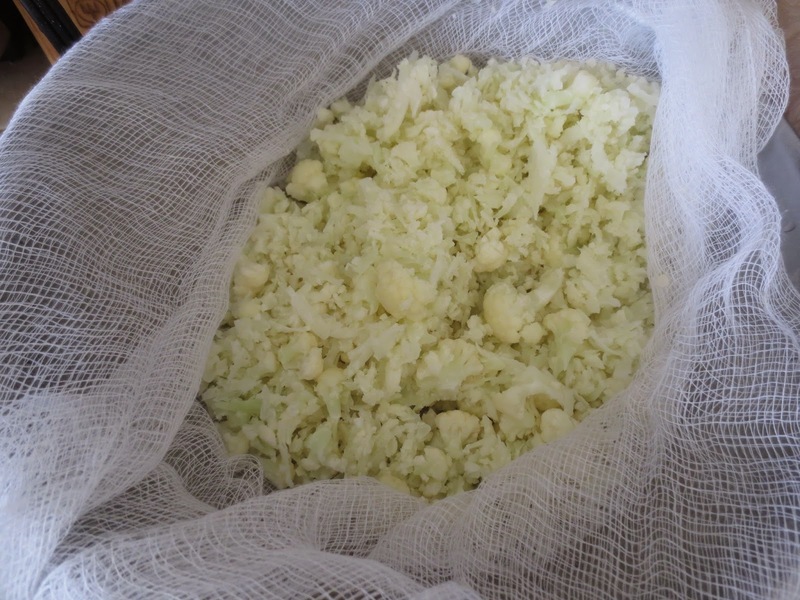 Using a cheesecloth or nut bag or a kitchen towel, dump the cooled cauliflower onto it and wring out the water. Wring out as much as you can. 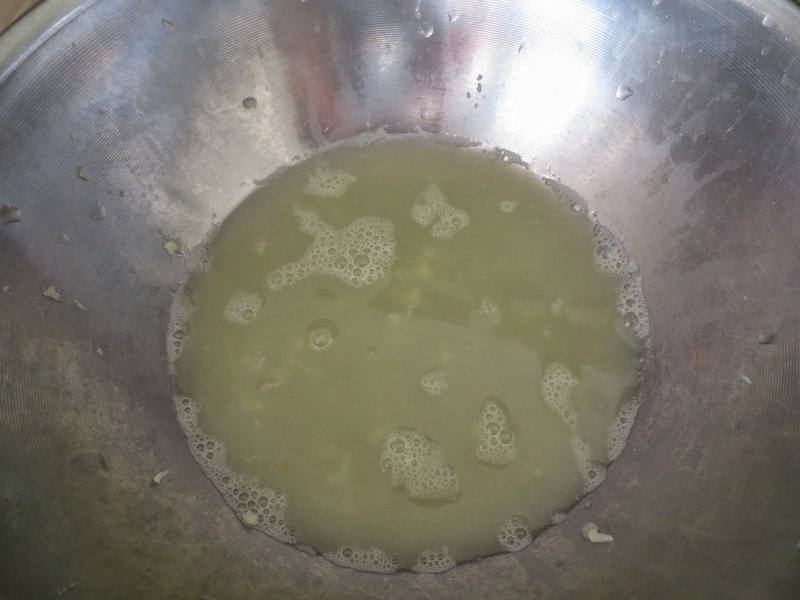 After you are done wringing it out, you will be left with a crumbly mess. 3. In a mixing bowl, mix together the cauliflower mess, mozzarella cheese, salt, oregano, garlic powder and egg. 4. 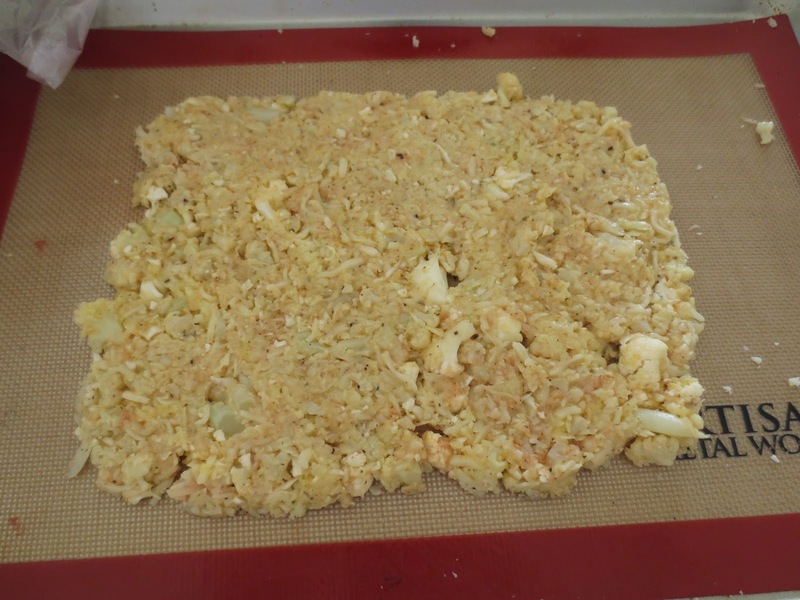 In a large pan, and on a silicon baking sheet or parchment paper, spread the cauliflower mixture and make it into a rectangle or circle for your pizza. 5. 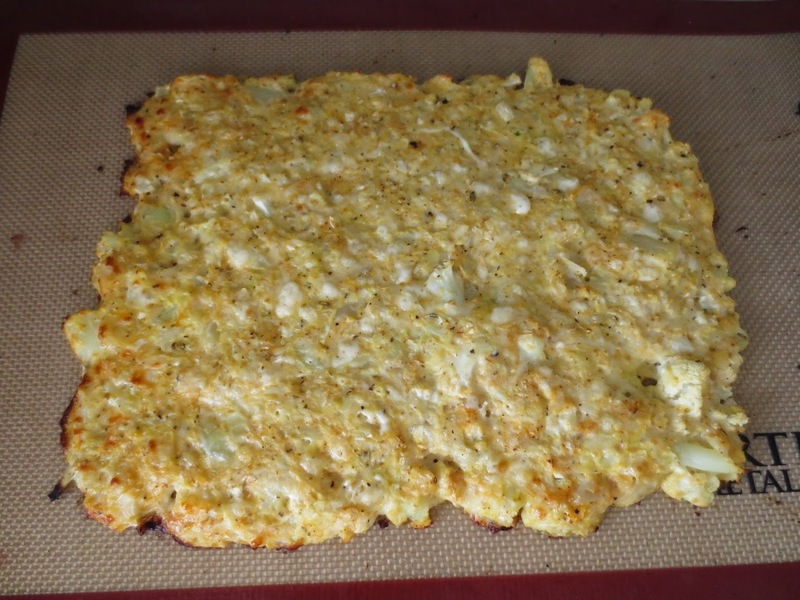 Bake the cauliflower in the crust for about 10-12 min, or until the crust is golden brown. 6. Take out the crust, and top with your favorite toppings!!! I topped it with pizza sauce, more mozzarella, and pepperoni. Put it back in the oven and bake for 7-9 min, or until the cheese is bubbly. What the bottom of the pizza looks like after its been cooled a bit and less soggy. 7. 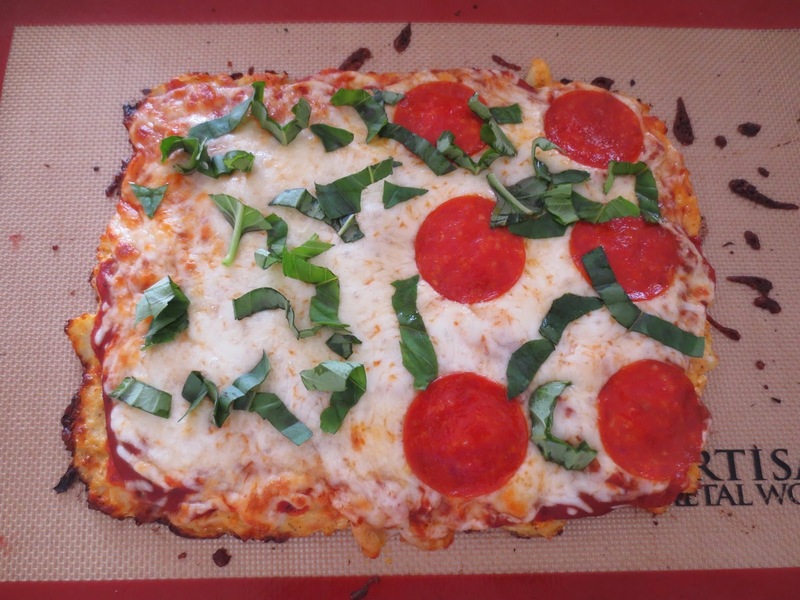 I topped mine with basil! If you want your pizza to be less hot and soggy, let it cool for a few minutes. You can use a spatula to slice the pizza.